We have the pleasure to inform you about the 29th Prague Advent and Christmas Choral Festival, which has been traditionally organised in the first Advent weekend in Prague. The festival is the oldest and most traditional Festival of Advent and Christmas music in Europe. 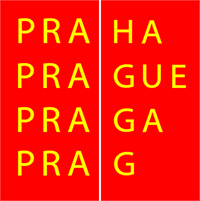 The organiser of this festival is organisational and festival agency OR-FEA Prague in co-operation with Czech Choral Union. The festival takes place under the auspices of the City of Prague. The festival is open for the following amateur choirs: male, female, mixed and children´s choirs. The main festival part is a contest but there is also a not competitive category for those choirs, which wish to perform outside the contest and their singing won´t be evaluated. Competing choirs are supposed to prepare a contest programme of Advent and Christmas music according to their own choice either a cappella or with instrumental accompaniment. The festival will award Petr Eben´s Prize. A special prize of the jury will be awarded for the best performance (arrangement, vocal qualities, conducting, etc.) The winners will get gift prizes. 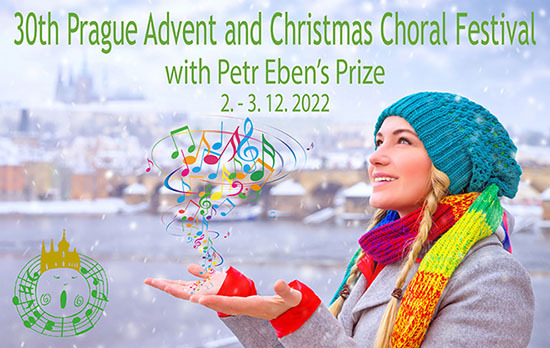 Petr Eben´s prize will be awarded regardless of other results for the best performance of his composition. As a part of the festival programme there will be common singing of all participating choirs at the historic Old Town Square, where Christmas and Advent songs and also a composition by Prof. Petr Eben, composed specially for this occasion, will be sung.